SUCCESSFUL acquisitions and internal investment had delivered a "strong global performance" for a company which began its climb from a lowly backyard shed in Queensland in 1985. 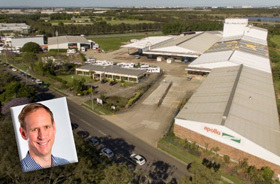 Brisbane-based Apollo Tourism and Leisure has become a major player in the rental fleet operator segment and is one of the largest RV operators in the world, with more than 4000 vehicles. 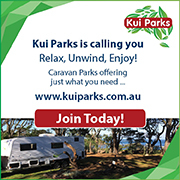 The company, which now has interests in New Zealand, Canada, North America, Britain and Ireland, recently released its financial results for the year ending June 30 which showed continuing strong growth in RV rental and retail sales revenue. Rental revenue soared 66 percent to $136.7 million while sales of new RVs skyrocketed 235.4 percent due to a 12-month contribution from Sydney RV and Kratzmann Caravans, which Apollo bought in February and June respectively last year. 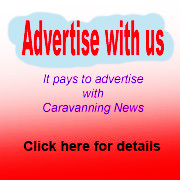 Apollo also acquired WA retailer George Day Caravans and Motorhomes in August, 2017. Group chief executive and managing director Luke Trouchet said it had been a "magnificent year" for his company's global growth strategy. "Strategic acquisitions, nationally and internationally, have positioned the company to build on the strong performance of FY18 and create global synergies to drive future earnings growth," he said. "While we continue to seek opportunities for global expansion, development of our existing infrastructure, people and systems, is a primary focus to ensure our growth strategy is supported and effectively executed."